Our firm represents individuals and businesses in many areas of the law, including estate planning services, real estate, corporate, commercial, general civil litigation and family law. We represent oil and gas producers, landowner groups and individual landowners including negotiation of leases, pipeline rights-of-way, water purchase agreements, negotiating lease disputes and working with clients on their financial and estate planning issues related to oil and gas interests. We provide legal services to individuals and businesses in a wide range of fields of practice to avoid or solve client’s legal problems throughout Ohio, The United States and globally. Welcome to Gruber, Thomas & Co. L.P.A. Gruber, Thomas & Co. focuses on a broad range of integrated and comprehensive services for the firm’s business clients, individual clients, and families. The firm employs an interdisciplinary approach which enables us to effectively meet all of our clients’ business and personal needs. We represent individuals and businesses in many areas of the law, including personal and estate planning services, real estate, corporate, commercial, general civil litigation and family law. You worked hard to accumulate wealth and protecting that wealth is your right and our mission. When your wealth gives rise to planning issues, we are there. We can accommodate all your real estate legal needs locally and statewide issues to public real estate issues. Our experienced staff has an extensive background and can make sure your needs are met. Family law involves matters which can have a profound effect on not only a client’s personal but also their business life. We have experienced attorneys to resolve these sensitive matters and strive to meet all your family’s needs to achieve a quick and beneficial conclusion. We provide representation in all areas of family law. As we age, our priorities in life change. Long term care planning, family, quality care, money management, asset protection and utilization of available government assistance programs are all important considerations. We can effectively represent you through the litigation process. Our clients benefit from our knowledge and experience to arrive at the best possible outcome. Our goal is to favorably resolve your issues without going to court but, when necessary, we have the right attorneys to successfully litigate your matter. As Oil and Gas Law specialists, we have the experience to help our clients with all their oil and gas legal issues, including representation of oil and gas producers, representation of landowner groups and individual landowners, negotiation of leases, pipeline right-of-ways, negotiating lease disputes and working with clients n their financial and estate planning issues related to oil and gas interests. We believe in utilizing a team of professionals with knowledge and experience in the areas that concern our clients. 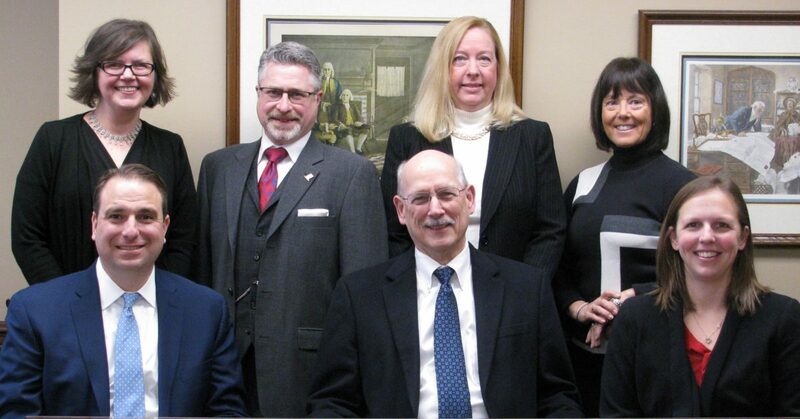 Our highly motivated team of attorneys and support staff assist our clients in each area of their lives from business holdings to Medicaid and Estate planning. We look forward to working with your other trusted advisors. Allow us to provide creative solutions and planning strategies to represent you through individual attention tailored to fit your needs. Have legal questions? Need help setting up a business? Don’t know your mineral rights? GRUBER THOMAS & CO. CAN HELP.